Strengthening Your Strategies: How Important is Link Building? | ReferLinks Online Marketing Strengthening Your Strategies: How Important is Link Building? Strengthening Your Strategies: How Important is Link Building? So you are planning to create a website for your business or perhaps you want to give your existing one a boost. You go online to see what you can learn about it, or perhaps you talked to some friends who know a thing or two about online marketing. Either way, you probably have encountered some words or phrases that aren’t exactly clear to you. Don’t worry about it. You are not alone. In our many years in the industry we have gained a fairly good idea which words can be a little confusing to some. In this particular post, we want to talk about one of those terms that you’ll constantly encounter as you try to improve your website and your online presence – link building. What really is link building? Simply put, link building is the process of getting links to your websites from other websites. Links are considered an essential element of the internet and the web. It’s how we get from one page of information to another. Links also weigh a lot when it comes to Google ranking. 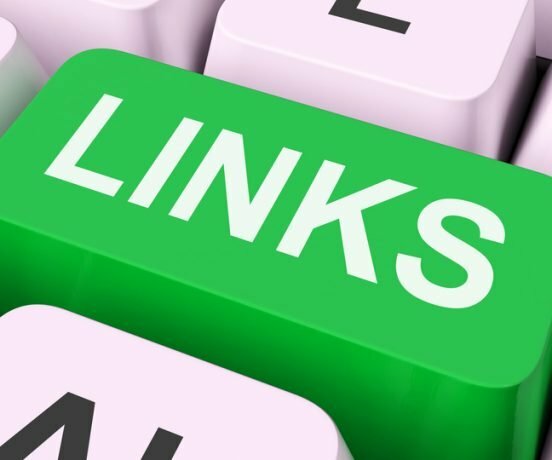 In a way, links are like the medium of referrals in the online world. It is how a name, brand, or company builds a reputation and how authority is passed on. So link building is how you get those referrals coming into your website so Google will recognize you as an authority in your industry and your site a reputable one. Links can greatly help businesses reach their goals whether they are short term or long term. The more links your site gets from other websites, the wider your reach becomes, which means the more people can actually see your page and your content. This is especially so if the websites that link to you have a substantial social following or a big number of subscribers. If you aim to increase the number of your social followers by providing high quality content on your blog, it will greatly help to have your links placed on authority blogs where your target followers usually engage. Now that you have a fairly good idea what link building is, you may be asking – how important is it? How does it affect your search engine results page rankings? Needless to say, we are all working hard to make our websites friendly to Google and other search engines to rank higher. It’s always a solid move to get into the search engine game because it is still the top activity done online. And because our goal is to rank higher, we need to play by the rules of the search engines. So what is the main rule? It is pretty simple: The more links you get, the more people are referring you, and the higher your ranking will be. Links are not easy to get just like how people’s referrals are not that easy to get, too. It’s one of the reasons Google values the link factor – because they know that people will only link to your site if they believe you offer something of value to them. Google only sees how valuable your site is through the number of links you get. Yes. No matter how valuable your content always is, if people are not linking to you, the search engines won’t be recognize the value of your website. Why is that? It’s because search engines are not people – they are machines! The only way they can measure value is by counting! But as years pass, Google has become stricter with what SEO specialists implement for their link building techniques. Now it’s not just the quantity that actually matters but also the quality of every link. So you want to make sure that your links are also on sites that have credibility. No matter what changes there may be, one thing is for sure – Link building will always count when it comes to achieving SEO success. This entry was posted in Analytics, Branding, Conversion, Online Marketing, SEO, Website and tagged digital marketing,digital marketing experts,link building,Links,Online Marketing on November 1, 2017 by ReferLinks Online Marketing.